There are four key ways to support the University of Miami Frost School of Music Band of the Hour. expenses, and the basic operating costs of supporting mail and web hosting for the organization. 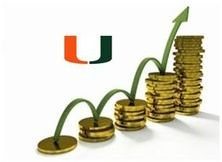 Another contribution option is a direct gift to the University of Miami marked for usage by the "Band of the Hour Marching Band." This funding is used directly by the Band of the Hour Marching Band at the discretion of its Director. This donation awards you credit for Alumni giving which is very important for both advancement and UM rankings. Dante B. Fascell Endowment for The needs (non-specific) of the Band of the Hour Marching Band. Fred McCall Endowment: for scholarships to a deserving band student on a continuing basis. Henry Duffy Endowment: for scholarships to a deserving band student on a continuing basis. Mann / Parente Endowment for scholarships to a deserving band student on a continuing basis. 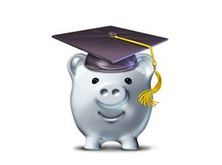 Click Here to learn more about these endowments. The Advancement of the University depends on its alumni and friends. If you have enjoyed listening to the music of the Band of the Hour for the last 80 plus years, consider creating a lasting gift with the University of Miami that directly supports the Band of the Hour. If you are interested in pursuing this avenue of gifting, please email us at membership@bothaonline.com and we act as your liasion with the University of Miami to create your lasting gift. Since 1993, the Band of the Hour Association has been drumming up support for the "Band of the Hour." Previously known as the Band of the Hour Club, the Band of the Hour Association has developed numerous fundraisers. The club initiated the publication of a newsletter to keep friends and alumni up to date with the happenings of the Band of the Hour. As the association grew into the new millennium, it changed its name from the "Band of the Hour Club" to the "Band of the Hour Association of Alumni and Friends", Inc. The Band of the Hour Association strives to keep its traditions alive though the traditions of the University of Miami and the "Band of the Hour"
The Band of the Hour Association is an affiliate group of the University of Miami Alumni Association. It is a separate entity from the University of Miami and is comprised of volunteers who give their time and effort to fundraise and support the University of Miami and the Band of the Hour in collaboration with the University, the UMAA, and its respective policies.